This useful idiot is LITERALLY giving the New Zealand terrorist exactly the outcome he was hoping for. Just how far is she willing to take her self-appointed “I’m the boss” attitude? Her first instinct is to take rights away. Huge update: JP Morgan & Wells Fargo have announced that they will no longer fund private prisons. How did this happen? Through organizing people & public pressure! Did you see how casually she slipped “Ban Semi-autos” in there? What’s wrong with her strategy — other than the fact that it doesn’t actually accomplish what it sets out to accomplish? A few things, really. We’ve seen what happens to governments that know their citizens are defenseless against them. Venezuela embraced socialism and then confiscated their firearms in 2012. Now they’ve got a rogue leader who has been constitutionally stripped of his power but refuses to go away because — so long as the military remains loyal — nobody can stop him. Another obvious reason is the phrase ‘shall not be infringed’. It’s written in some important document. She’s probably come across it at one point or another since she’s an elected official and all that. But an even more relevant one to the very crisis she’s trying to leverage for her own agenda’s advancement is that her reaction is PRECISELY the goal the NZ mosque shooter was hoping for. We’ve not printed his name, except in the initial report. He doesn’t need his name splashed everywhere. We didn’t print his Manifesto, because it didn’t need to be shouted from the digital rooftops. But here at ClashDaily, we care about being informed about the issues. We looked into what he wrote in that manifesto, knowing the media would be making all kinds of claims about him. Without quoting them directly (most copies have since been scrubbed from the usual places you might find them on the internet) here’s what he was saying about his objective. Why did he pick guns? 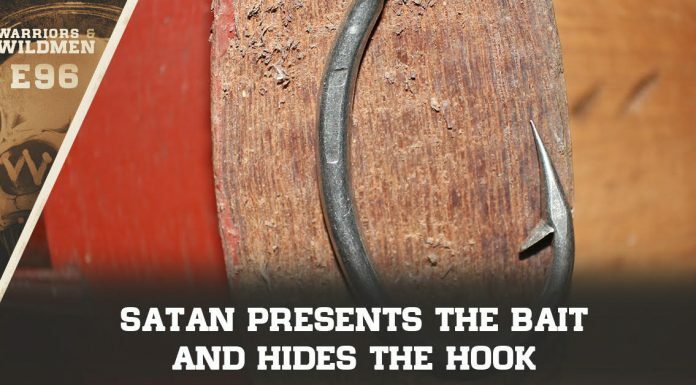 Because his primary target (and political audience) was not NZ — he figures their culture has already surrendered to the various social elements he rails against — he was specifically counting on the press and the leftist politicians to do the same thing they always do: Call for Confiscation… in America. Why did he want that? He was counting on the Press and the Democrats to do exactly the same sort of thing they did after the school shooting in Florida — maximize every pressure tactic they could on demonizing gun owners and calling for ever more restrictive gun legislation. Think back to Jake Tapper’s Town Hall where the NRA (and Rubio) were demonized even as the real problem — Sheriff Israel — was sitting on that stage too. He was hoping that gun-grabbers would overstep their authority and breech the Constitutional rights to the point that patriots would take up arms. He was hoping to create open conflict. And so far, Alexandria Occasio-Cortez is playing her role EXACTLY has he had predicted. Maybe our politics and press need to step back from their ever-so-predictable demonization of lawful gun owners (who have a better safety record even than armed government professionals) and discuss the actual facts, rather than the emotions. But when ignorance and arrogance come in such loud and angry packages like what we see in activists like Occasional Cortex, a rational conversation is the LAST thing we are likely to get. America is now producing its own Bolsheviks. Let’s hope we can expose and discredit their ideas before it leads to the dark and violent places Bolsheviks tend to lead us. You can see it in her eyes, she’s got big plans for America. Big, psychotic plans. She’s not exactly ‘shelf stable’, but she IS an elected representative. 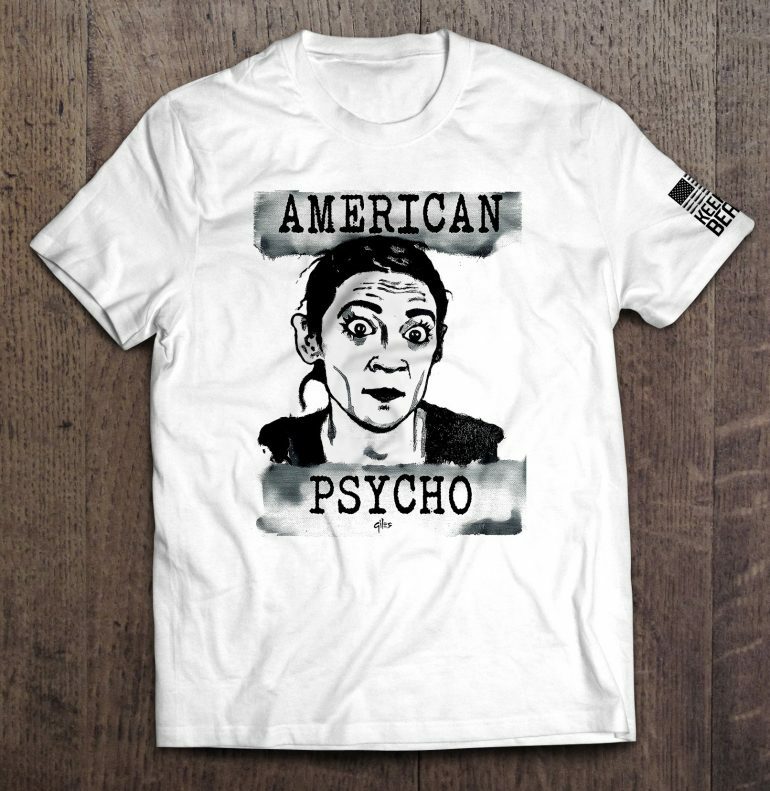 She’s Alexandria Occasio-Cortez: The American Psycho!